Go roaming-free with our universal SIM card for travellers. Use internet and make calls in 197 countries around the globe. Best rates, no limited data packages, no hidden fees. Drimsim — is a real SIM card. You can put it right into your phone, tablet or mobile hotspot. However, Drimsim isn’t bound to any cellular provider. It connects to a local provider in each country and just works. Upon landing in a new country, Drimsim is ready for work. All you need is your device and your SIM card. There's no such thing as a a setup guide. It's that easy. No need to set up roaming or buy a local SIM card. You'll get online as soon as you turn off the flight-mode. Forget about subscription fees and limited data packages. We charge on a post-paid basis, only after you make a call or use some amount of data. We make deals with local providers to get the best prices for our clients. Then we charge per kilobyte and per minute. Subscribe not to miss the discount! I agree to consent to processing of my personal data. Already packing for a journey? That’s a good time to order Drimsim. We will deliver your SIM card right to your home, office or even your hotel. Give it a try right now! Download our app and try it yourself. You can also order our SIM card right from the application. Опубликовано Юрием Артамоновым 11 января 2017 г.
Опубликовано Сироткой Мо 31 января 2017 г.
С Drimsim я всегда знаю, что даже в дальних странах я доступен для моих друзей и родных. Опубликовано Anastasia Sokolova 29 августа 2016 г.
Опубликовано Василием Умновым 17 октября 2016 г.
Опубликовано Виталием Меньгешевым 11 сентября 2016 г.
Симка здорово помогла в поездке в Марокко, где обычно связь с Россией затруднена и обременительна. Ребята, вы - лучшие, а Ваш саппорт - сказка!!! Опубликовано Александром Чащиным 18 декабря 2016 г.
Очень понравился сервис. За пару недель в Испании удалось потратить чуть больше чем 20 евро на интернет, ни в чем себя не ограничивая - ежедневные видеоконференции в скайпе, почта, браузинг тяжелых сайтов, работа. Работало везде и качественно с 3g. Приятно удивлен. Надеюсь у вас все взлетит и вы нас и дальше будете радовать еще более вкусными ценами. Mobile phone – is not a luxury, but an indispensable partner in travel - it helps to build routes, share impressions and stay in touch. But roaming is still too expensive. How not to spend all the money on cellular communication and international calls when going abroad, and at the same time stay online, easily communicate with friends, post pictures in Instagram and run a video blog about travel? Perhaps the most expensive type of mobile communication abroad. 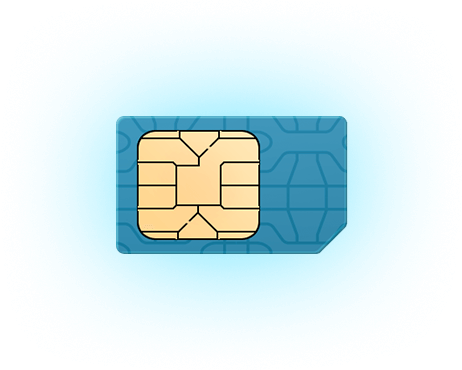 Pros, you do not need to buy a new SIM card for overseas, but even the cheapest roaming package from your local operators costs several times more than other options for advantageous communication abroad. And this is a huge cons. If you come to a certain country for a long time and you need the cheapest connection abroad, the local mobile SIM card is the best option. Local operators give the cheapest Internet and calls, so it's always a good idea to buy such a SIM card for international travel. As always, there are a lot of pitfalls, especially for visitors: the connection can only be purchased with packages that expire through time, calls to homeland are expensive, and top-ups are inconvenient. If you often move between countries, you'll have to buy a dozen different SIM cards. it is easy to top-up and control expenses. Drimsim is such a SIM card to travel abroad. It's a real game changer for those who want to organize cheap international travel and need a travel mobile SIM card that can be used worldwide. 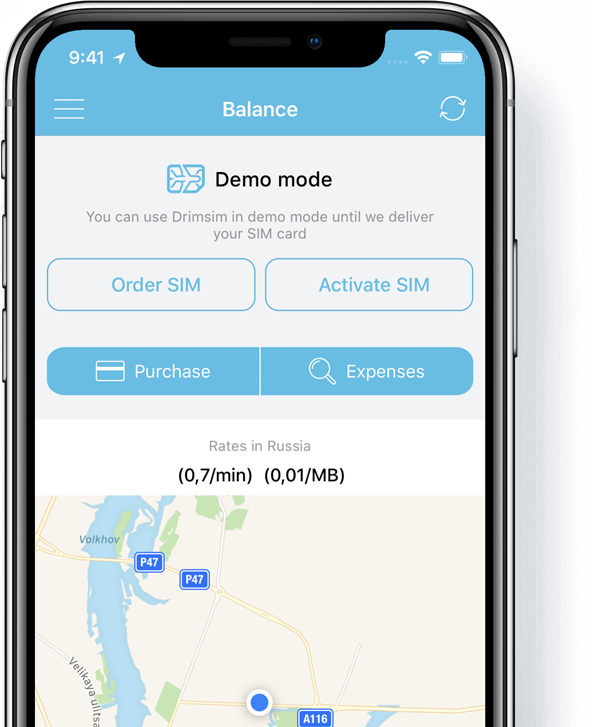 It works in 197 countries, charging by minutes and by kilobytes, no hidden fees - all expenses can be controlled via mobile application, and the balance can be toped-up with a bank card. If you travel a lot, Drimsim will help you stay in touch at the best prices.